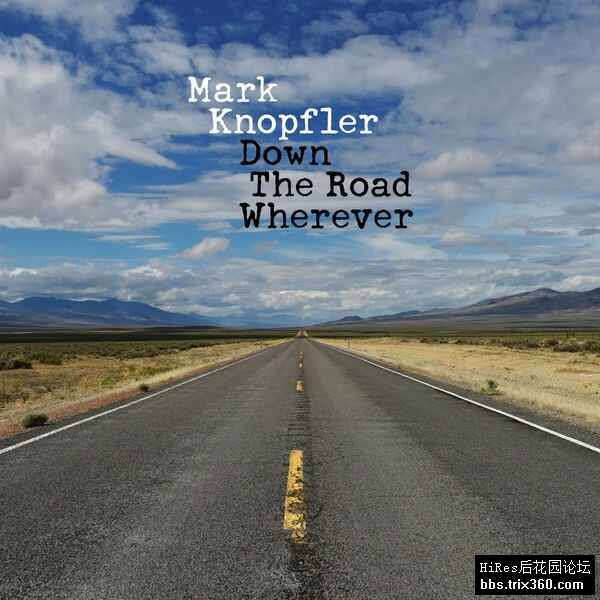 When he’s not working on a film score or paying a musical visit to one of his numerous friends, Mark Knopfler focuses on producing high quality solo albums. Down The Road Wherever is no exception, it’s arguably up there with Golden Heart and Get Lucky at the top of the heap. For this ninth album, available in different editions (something which has become a habit for him), he demonstrates more than ever the sheer scope of styles he can play with outstanding subtlety and elegance. He’s like a magician refusing to show off with shiny new tricks, but rather favouring his older acts with a few delicate updates, of which he seems to have many up his sleeve! More relaxed and confident than ever, particularly in his perfect guitar performances, Knopfler is second to none when it comes to harmoniously juxtaposing jazzy (When You Leave, Every Heart In The Room), bluesy (Just A Boy Away From Home), funky (Back On The Dance Floor, Nobody Does That), folk (Nobody's Child, Matchstick Man) and trad (Drover's Road, One Song At A Time) atmospheres, at times incorporating inspired Latin touches – samba, bossa nova, or cha cha chá − (Floating Away, Slow Learner, Heavy Up, Rear View Mirror) or electro layers (Good On You Son)… Even though the album starts off like Dire Straits’ Love Over Gold with the perky Trapper Man, and then My Bacon Roll which would fit right into Brothers In Arms, he has obviously come a long way, setting himself apart from a band whose memory is slowly fading.